Countrywide has a national network of attorneys who provide required pre-paid legal services. We strongly urge people to have a lawyer review the warranty before signing it. A Countrywide attorney can look at the language point out the major clauses. Some small stores might use warranty documents that are outdated and invalid. Our lawyers will spot that and alert the group legal plan member. A faulty warranty may be a consumer protection violation. Countrywide goes one step further in service. We will provide advice on how to file a formal consumer complaint. Our other pre-paid legal services, such as writing letters and making telephone calls for the plan member, will support this effort. Clients can make a Countrywide group legal plan comprehensive. Our benefit options support each other in some way. Consumer protection is helped by assistance with public agencies and a review of legal documents goes beyond mere interpretation. The client decides what pre-paid legal services best fit the employee needs. Those selections are going to be part of the final plan document and Countrywide will provide the service. Our service is intended to make sure that group legal plan members get what they need as soon as possible. We streamline our administration to speed things up and no plan member has to wait. It is easy to make an appointment to talk to a Countrywide lawyer. A plan member can be assured that this legal professional has excellent personal skills. We want questions answered and we want solutions offered and every lawyer who works with us is aware of the requirements. If a person forgets an important question it is not a problem to call the attorney. We allow for an unlimited number of telephone calls on a given situation. Benefits vendors will often promise the world and deliver not much of anything. Countrywide stands behind the quality of its group legal plan benefit and the integrity of the service providers. We encourage prospective clients to check our references and ask about us. We are positive they will discover we are a leader in the industry based on an overall commitment to service. Warranties are meant to defray the costs of repair work. They are not intended to be easy products for any company to sell to a consumer. Countrywide helps people understand what they have purchased or what they are about to purchase. 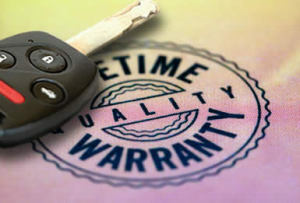 A consumer has a better understanding of the warranty expectations and often disputes are settled before they begin, thanks to the work of a Countrywide attorney. There are cases where a warranty is going to be very helpful. However, a warranty must be something that is a trustworthy document which the seller is going to honor when it is necessary. You may have some questions about our services and we would like to answer them for you. Please feel free to contact us at your earliest convenience about Countrywide. We are ready to respond, and we would welcome the opportunity to speak with you.